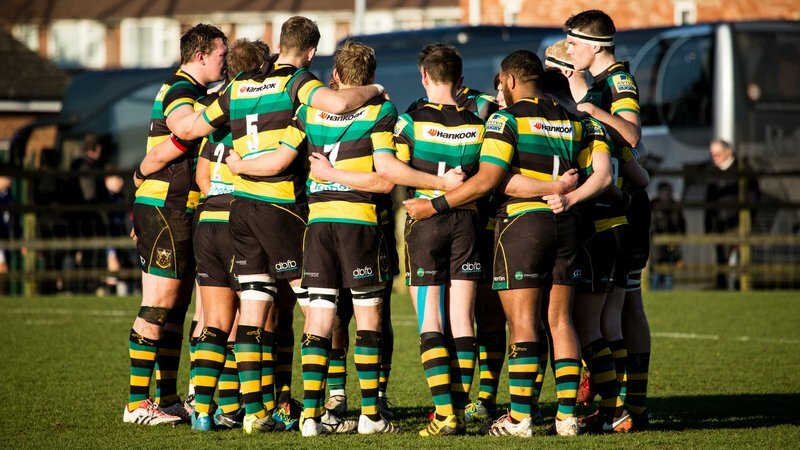 Ever since the first full-time Academy was established at Franklin’s Gardens in 1997, Northampton Saints have consistently rolled home-grown first-team players off the production line. Saints Academy aims to produce players capable of making the grade in professional rugby, and has now cultivated a group of household names such as World Cup winners Steve Thompson and Ben Cohen, England captain Dylan Hartley, and British & Irish Lion Courtney Lawes. Meanwhile more recently the likes of Harry Mallinder, Tom Collins, Lewis Ludlam, and James Grayson have all broken into Saints’ first team – and the number of international age grade representatives continues to rise, proving the system is working better than ever. There are several tiers to the Saints Academy system. Over 100 young players aged between 13 and 20 receive coaching from the club – ranging from the bi-weekly Player Development Groups (based in Northampton and Colchester) to the Senior Academy who train full-time at Franklin's Gardens. Saints coach several age-group sides, with the focus being on developing the individuals involved so they are well-rounded both on and off the field. Players are given regular game time in the Under-16s, Under-17s, Under-18s and Wanderers sides – so it is common to see Academy players learning their trade alongside professionals. Exposing young players to high-quality rugby as quickly as possibly will only be beneficial to the individual as well as to the Club as a whole. Every academy is judged by the talent it produces, and Northampton Saints is no different. The Club's academy has been structured to consistently provide players who are capable of representing not only Northampton, but regularly earning international honours as well. The Player Development Groups (PDGs) identify and develop players in the Under-14s, Under-15s and Under-16s age groups. Based in two centres – Northampton (East Midlands) and Colchester (Eastern Counties) – the PDGs are managed by a head coach along with three support coaches. The coaching curriculum at these centres ensures players with aspirations of playing for the Saints first team are educated and equipped with the essential physical foundations for being a professional sportsman. PDG Players are then selected from to attend Junior Saints Academy sessions, based at Franklin's Gardens. The PDG programme is a major step onto the player development pathway and is placed above CB representative rugby and the DPP initiative. Any queries regarding the Player Development Group programme can be addressed to Katharine Burrows, Academy Administrator, by emailing [email protected]. Aged between 16 and 18 (coinciding with Sixth Form), players are selected for the Junior Saints Academy programme based on their prowess on the field and attitude off it. Huge emphasis is placed on successfully completing their school education alongside experiencing a higher standard of rugby. Players are nurtured across all components of performance; technical/tactical, physical preparation, mental wellbeing, and overall lifestyle. At the heart of the programme is the notion of individual development within a team environment, supported by principles of long-term athlete development. The competitive playing programme enables the coaches to refer an individual's progress back to the context of a game. The Club does not hold open trials for entry into the Junior Saints Academy programme – most players are selected from our Player Development Groups. However, the Club operates an extensive scouting network that refers exceptional players directly to the Academy for consideration. For further information (players over 16 years of age ONLY), please email [email protected]. The Saints Senior Academy is the final step in the development of players who have been identified as having potential to progress as a professional and eventually represent the Club at first-team level. Generally, these players will be 18 to 19 years old and in their first years out of school, and will have demonstrated both high levels of skill and a strong mental aptitude throughout their rugby education. Senior Academy players are sourced almost solely from the Junior Saints Academy. However, on occasion exceptional school leavers will be invited straight into the Senior Academy set-up after a trial with the Club. Saints Senior Academy starlets train on a full-time basis alongside Northampton’s first team squad and world-class coaches; in this way they advance their physical development and hone technical skills, while also gaining a perspective of what it takes to be a part of the Club’s squad. These players will contribute not only in Academy fixtures, but also for the Wanderers in the Premiership Rugby A League and often for the first team in the Premiership Rugby Cup (formerly the Anglo-Welsh Cup).